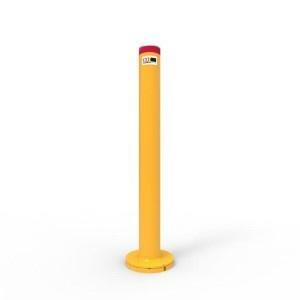 Retractable bollards are designed for medium security applications such as traffic and parking control. They offer a simple, trouble free operation proven over many years of installation. 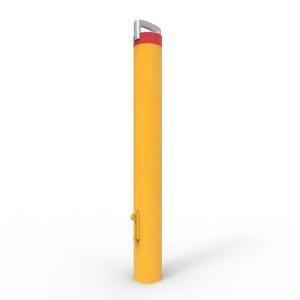 The retractable bollard is now available with a choice of two different materials. The BR900 has a 5mm thick mild steel bollard that is galvanised before being powder coated in hi-vis safety yellow with two reflective bands. 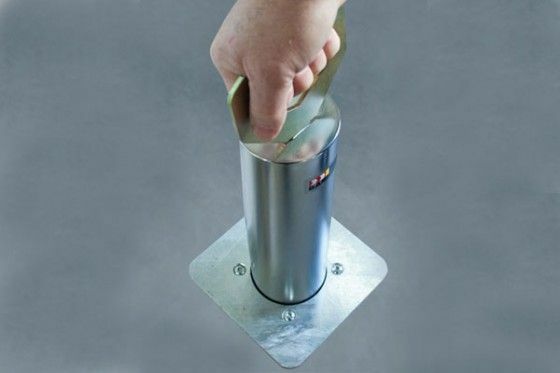 The BR900-SS has a 3.05mm thick 316 marine grade stainless steel bollard. As this model is designed for more architectural applications it does not include reflective bands. p Sorry, your browser does not support the <video> element. 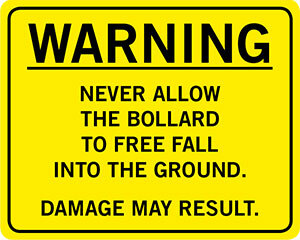 Lower bollard until fully retracted. 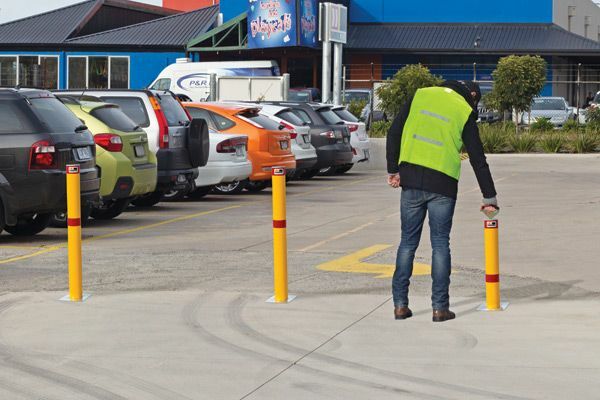 Note: A retractable bollard should not be used where high security locking is required, such as car yards etc. 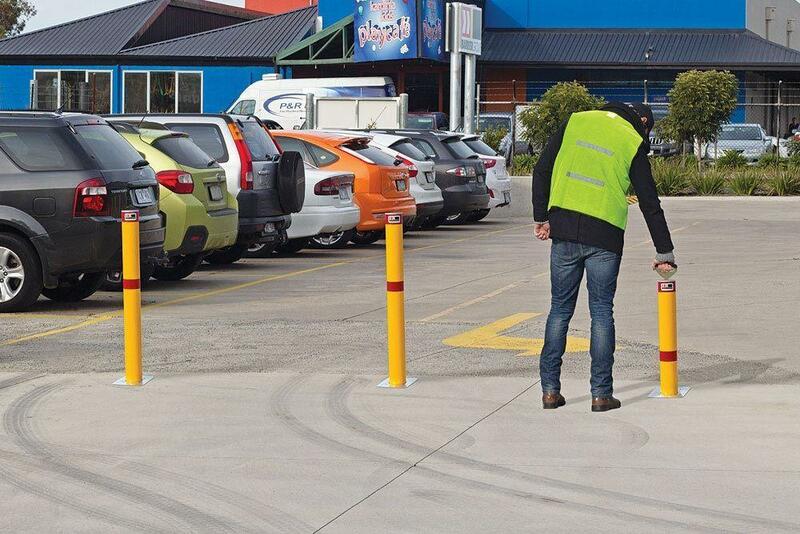 For these applications insurance companies insist on our Cam-lok Removable Bollards. Round 90mm diameter bollard locks in both extended and retracted positions. Mild steel hot dip galvanised with a powder coated finish or 316 marine grade stainless steel. Black anti-slip top surface and two reflective bands on powder coated model. Two unique, low cost ‘T’ handle keys supplied per order with additional keys available for purchase. Trouble free design with only two moving parts. 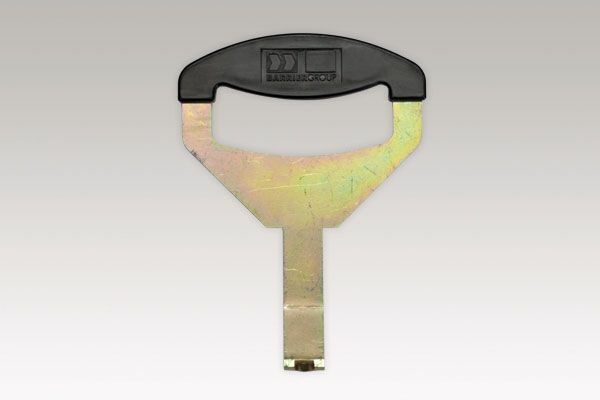 Internal locking system can’t be tampered with or fouled by dirt or water. Note: All dimensions in mm. Finish: Hot Dip Galvanised (HDG), Powder Coated (PC), or 316 Stainless Steel (SS). 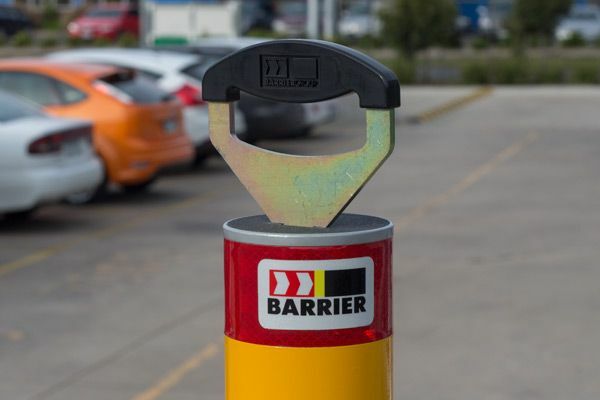 *Each order of one or more bollards is supplied with 2x T-handle keys.